THE LEADERS of the Shetland and Orkney councils were both in Edinburgh on Thursday to press the case for the ‘fair funding’ of inter-island ferry services. 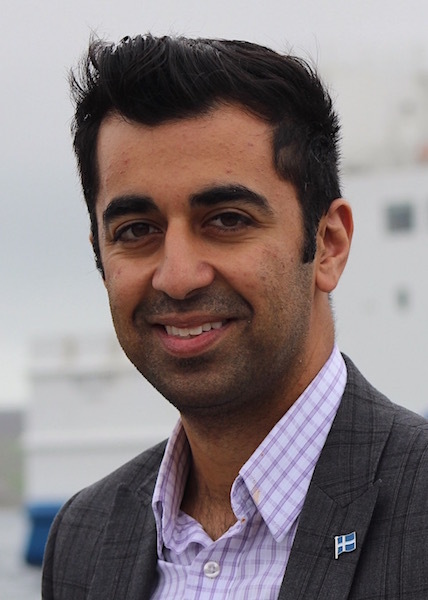 SIC’s Cecil Smith and James Stockan, of Orkney Islands Council, raised the issue with islands and transport minister Humza Yousaf in a meeting that the islands councils described as “robust”, while the Scottish Government chose the term “constructive”. Both island groups would like to see the Scottish Government take on the full running costs and capital investment commitments for the internal ferry services. Ahead of the budget setting for 2018/19, both island groups have put forward funding requests to the Scottish Government. Shetland Islands Council uses £7.5 million of its government block grant to run nine inter-island services. Orkney spends £2.5 million to keep its inter-island ferry network running, while internal ferries in the Western Isles are subsidised through the Calmac contract. Both the SIC and the OIC want the government to honour a 2014 commitment to the principle of fair funding. The issue was also highlighted in a recent Audit Scotland report into ferry services. Speaking on Thursday afternoon, SIC leader Smith said the meeting with Yousaf had been robust. “He understands the financial pressure that we are under with regards of the future of revenue funding for the internal ferries,” he said. “We were unable to meet with Derek McKay (the finance secretary) today so another date is going to be arranged. That I gather will be relatively soon. “I along with the leader from Orkney will meet with him and put forward our case. The meeting came in the same week that SIC environment and transport committee chairman Ryan Thomson renewed calls for funding assistance after two of Shetland’s aging ferries suffered technical failures. A Transport Scotland spokesman said in response that the Scottish Government had treated local government very fairly despite the cuts to the Scottish budget. “Today’s meeting was constructive and the dialogue between the Scottish Government and island councils on the issue of internal ferry services will continue,” he said. “Responsibility for internal ferries remains with the local authority, but our pledge of further dialogue on this issue shows we remain committed to the principle of fair funding in the provision of ferry services and ferry infrastructure. “Both councils have submitted funding requests for 2018/19 and these will be considered as part of the on-going Spending Review.